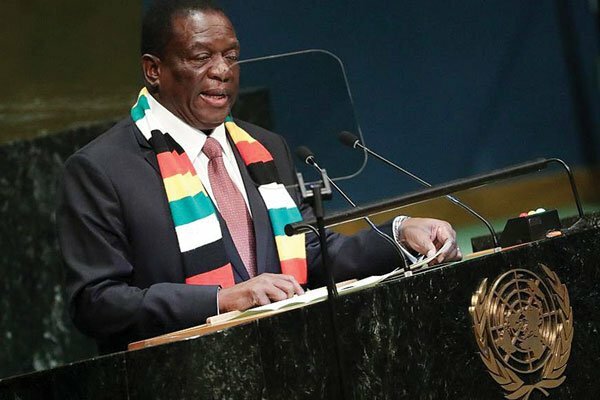 OPPOSITION political parties and civic groups have called on President Emmerson Mnangagwa to publicly apologise to families of people killed and injured by the army and police during the August 1 post-election violence. This followed the publication of findings of the commission of inquiry led by former South African President Kgalema Motlanthe, which laid the blame for the deaths and injuries on the soldiers and police who were deployed to quell the post-election protests. The report said the use of live bullets was ‘unjustified and disproportionate’ and challenged the Mnangagwa administration to be accountable by taking action against some wayward members of the army and the police. MDC national executive member Jameson Timba, who was Nelson Chamisa’s chief election agent in the July 30 poll, said Mnangagwa as the Commander-in-Chief of the Zimbabwe Defence Force and therefore responsible for deploying the soldiers, should apologise and ensure the culprits are brought to book. “The commission of inquiry came and went, still those who killed six of our compatriots have not been identified; they walk scot free in their barracks. Even if the report is conclusive that they were killed by the army there is no apology. The 38-year-old culture of impunity continues unabated from one despotic era to another,” Timba said. MDC spokesperson Jacob Mafume dismissed the report in its entirety, saying it was just a public relations document to cleanse Zanu PF in the eyes of the international community. “The MDC is a peaceful organisation which must be applauded for resisting unconstitutional means of redress despite years of suffering. Any attempt to blame the victims in the report is a clear ploy of equalisation,” Mafume said. The MDC wants stern measures taken against members of the army who shot and killed unarmed civilians, which part was missing from the final report, he said. “As we have always predicted, the outcomes of the commission are clearly bound on whitewashing the killing of unarmed innocent civilians by soldiers and create a climate of impunity for such killings, while equating the victim with the perpetrator,” Mafume said. Crisis in Zimbabwe Coalition also dismissed the report, saying it served nobody but Mnangagwa. Lawyer Fadzayi Mahere also called on government to apologise and questioned the wisdom of promoting the shootings commander Anselem Namho Sanyatwe to the position of Major-General. “Dear President, with all due respect because the army was implicated in the killings you are the Commander-in-Chief. Surely it behoves you to take responsibility and at least apologise for the moment of madness. Why did you also promote the commander involved if you regret this episode,” she said on her Twitter handle. Mnangagwa told journalists on Tuesday that his government was still studying the report and would soon move, guided by the recommendations of the report. Zanu PF spokesperson Simon Khaya Moyo said the ruling party was not yet ready to comment on report. “We have to sit down as a party, it would be unfair of me to comment on it,” he said. Meanwhile, Mbizo legislator Settlement Chikwinya (MDC Alliance) yesterday raised a point of privilege with Speaker of the National Assembly Jacob Mudenda demanding that the Motlanthe commission report be debated in Parliament in terms of section 119 of the Constitution. Chikwinya said some of the issues raised in the Motlanthe report required Parliament intervention. “It is incumbent on this House to be, therefore, able to debate the Motlanthe report because there are issues that talk to the alignment of electoral laws which require the action of Parliament. It is incumbent on the Minister of Justice (Ziyambi Ziyambi) to bring that report for debate in this august House,” he said. Ziyambi did not object to Chikwinya’s proposal. “Indeed the report is in the public domain and it is within the rights of Parliament to discuss a matter which is in the public domain and therefore, I will consider it,” Ziyambi said. The post ‘ED should apologise for army killings’ appeared first on NewsDay Zimbabwe.